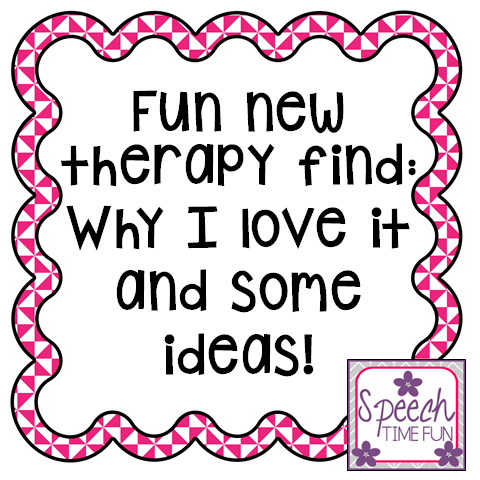 Fun New Therapy Find: Why I Love It & Some Ideas! 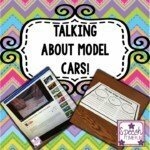 I was browsing Zulily a couple weeks ago (like I do daily!) And I found this item which I knew I had to grab!! Here is the same item on Amazon (I was just able to get it at a cheaper price on Zulily. 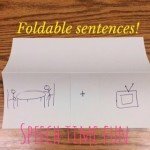 Most SLPs have a magnetic dry erase board, you can easily attach it onto it. I unfortunately do not, so I attached mine to my cabinet! This item stuck on tight so I didn’t have to worry about students knocking it down. It also took me about 1 minute to grab my dry erase marker, write on it, and hang it. First, today I used this spinner with Word Nerd Speech’s Critical Thinking Activities for Winter. 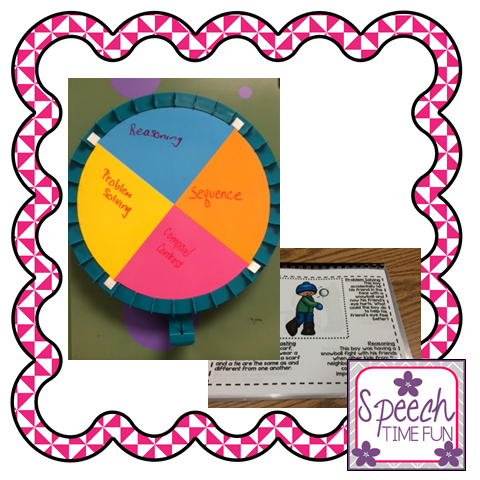 I wrote the four tasks on the spinner: sequencing, reasoning, problem solving, & compare/contrast. Students took turns spinning to see which task they had to do for each image/winter activity. It was such a great and easy way to collect data on multiple skills at at time. 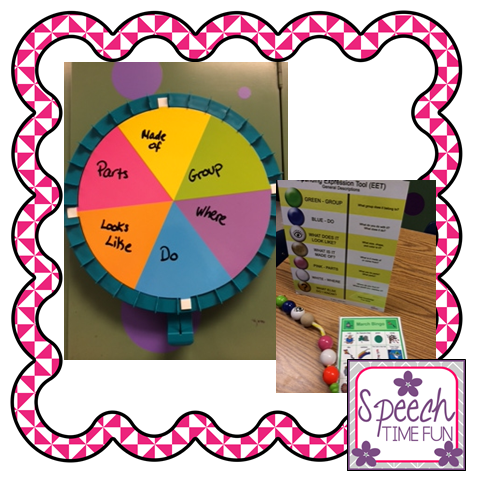 We also used my spinner recently to work on our vocabulary with out EET!! I have an old March BINGO game with March vocabulary. Students got to spin the spinner to determine which EET bead they had to use to describe the theme vocabulary with before putting their BINGO chips on that space. 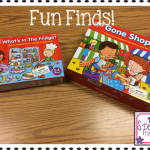 They had so much fun!! First of all…I love that the students get to get up and move around. We all know how much our students can benefit from this! They do not like to sit still and it is so difficult for them! 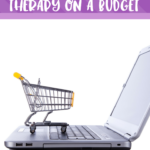 Second of all…I love a therapy material that I can use in SO many ways!! Who doesn’t love dry erase!!!! Third..I can easily clean it up and put it in a closet when I am not using it! Do you have this? How would you use it!? 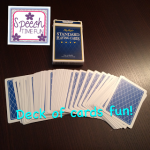 Deck of Cards DIY Fun!